Our customers demand HIGH DEFINITION air duct cleaning. Imagine removing the roller brush from your sweeper and expecting to vacuum your carpets using "air only." Doesn't sound very effective does it? 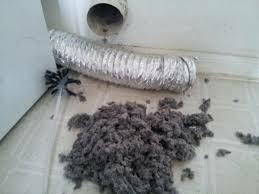 This is exactly how many duct cleaners go about cleaning your air ducts. 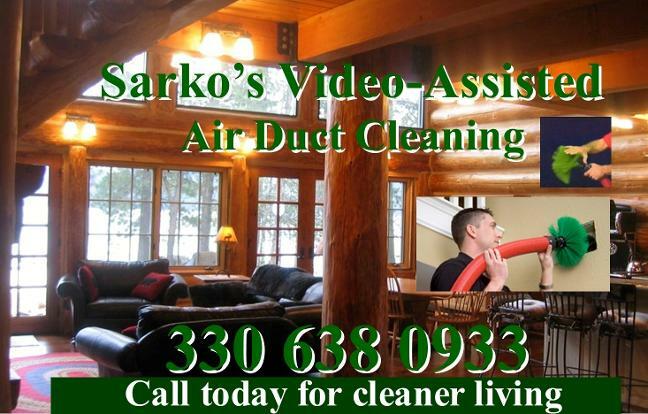 Think of Sarko's Video -Assisted Air Duct Cleaning as the "brush and camera" guys. We use 14 different sizes of brushes depending on the size of the duct. The brushes get squeezed in and then spin at 300 RPM's to remove the dust and dirt from your ducts. Please watch the short video to your right to see our process in action. Then compare what you see to companies using flimsy whips or even air only. Why the camera? 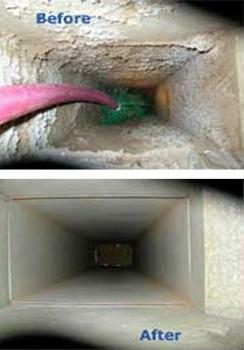 If you can't see whats down inside the ducts - how can you know they're clean? Also: beware of duct cleaners who show you 20 pounds of dust after the job is complete. Many of these guys had the bag of dust in the truck before they arrived. The latest gimmick goes beyond the 20 pounds of dust. One local company was recently seen with a five gallon bucket filled with filthy puzzle pieces and children's toys that they would sneak into your basement -- feed them into their vacuum and then claim they came from YOUR ducts. Bottom line, ask to see INSIDE the ducts when the job is complete. Camera's don't lie. 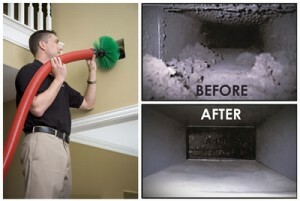 I do not believe any company that can actually get ducts clean can also beat our price.